Arrive at Bhubaneswar, check in to hotel after refreshment you can go for visit Local temples like Lingraj Temple, Rajarani Temple, Mukteswr Temple etc. then drive to hotel night at Bhubaneswar. After Breakfast Check out from hotel Proceed to Konark Sun Temple (famously known as black pagoda ) sun Temple Konark represents marvelous architecture of the Kialinga style, one of the world heritage sites then visit Chandrabhaga confluence of river is a fabulous site to visit and visit Ramchandi temple & also visit to ASI museum, then drive to puri check in to hotel . In evening enjoy sea beach . Overnight stay at puri. After breakfast checkout from hotel then proceed to Bhubaneswar enroute visit Pipili ,Dhuali peace pagoda monument , further proceed to Nandankanan Zoo is not just a regular zoo but a sanctuary and a botanical garden all rolled into one. Later half day lunch you can visit for water park after enjoying back to Bhubaneswar overnight stay at hotel. 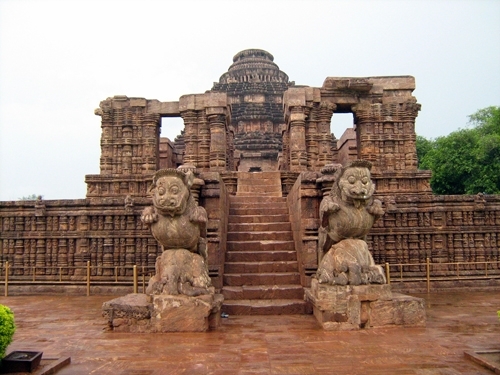 After breakfast checkout from hotel then proceed to Bhubaneswar local sight seeing Khandagiri & Udaigiri Jain caves (oldest rock cut caves, the caves are reminiscent of influence of Buddhism and Jainism in Odisha).Later drive to Bhubaneswar Airport/Rly Station for your onward Journey.